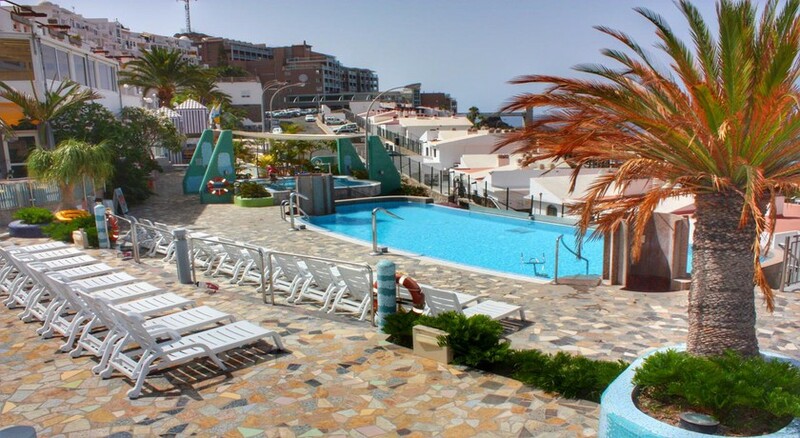 Aparthotel Cura Sol enjoys a perfect beach-front location on the beautiful balmy island of Las Palmas. The aparthotel has a rather warm and welcoming atmosphere with brightly coloured paintings spread across the hotel and accommodation. The recently renovated outdoor spa and pool area are the best places to relax and unwind on your holiday. All the 77 rooms in the complex are airy and bright with all the necessary amenities to make you feel like a home-away-from-home. Although predominantly a self-catering facility, the aparthotel does feature a beautiful restaurant offering buffet breakfast, lunch and dinner. 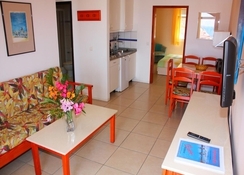 The Cura Sol Aparthotel is only 300m from the Cura beach (Playa del Cura). 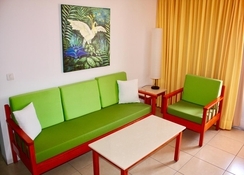 The aparthotel enjoys close proximity to several shopping malls, tourist attractions, water parks, etc. The Gran Canaria Airport is about 50km from the property. The aparthotel provides a shuttle to the airport, making it convenient for guests to reach the hotel and board their flights on time. 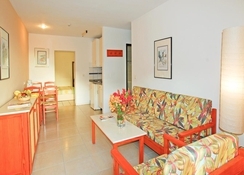 As the name suggests, Aparthotel Cura Sol offers accommodation to its guests in the form of apartments, which are broadly classified as Apartment and Premium Apartment. These are further categorised as Apartment: Standard, Comfort I, Comfort II and Familiar; Premium Apartment: Pablo Picasso, Joan Miró, Henri Rousseau, Frantisek Batka, Da Vinci and Cesar Manrique. All apartments come with all the necessary amenities which include living room with sofa, TV flat with satellite connection, functional kitchen equipped with complete crockery, refrigerator, ceramic hob, microwave, coffee maker, toaster, kettle, bedroom integrated with double bed with special mattresses and individual duvets, bathroom with shower (folding seat), toilet, hairdryer and balcony or terrace, offering beautiful views of the sea. 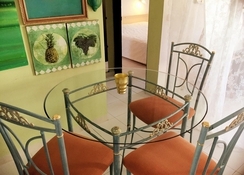 The hotel houses an a la carte restaurant that serves buffet-style breakfast, lunch and dinner. For breakfast, guests are offered a variety of breads, bacon and scrambled eggs as well as freshly prepared Muesli and yogurt. The lunch and dinner menu is extravagant and scrumptious. Head over to the pool bar late afternoon or early evening to enjoy refreshing drinks while you watch the sun set over the Atlantic Ocean. The pool bar also servers light nibbles and finger food. Guests can also make use of the hotel’s in-room service. Aparthotel Cura Sol has an astounding variety of sport, relaxation and recreation facilities, which surely will keep guests engaged. 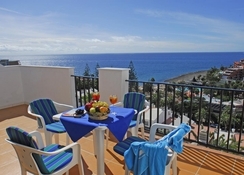 Guests can bask in the Canarian sun on the terrace or dive into the lovely swimming pool. Those wishing to unwind and rejuvenate themselves can take advantage of the spa. The hotel also offers a car rental service – through which guests can explore the town closely and at their own pace. Golfing aficionados will admire the hotel as the famous Maspalomas Golf Course is only but 22km from the property.